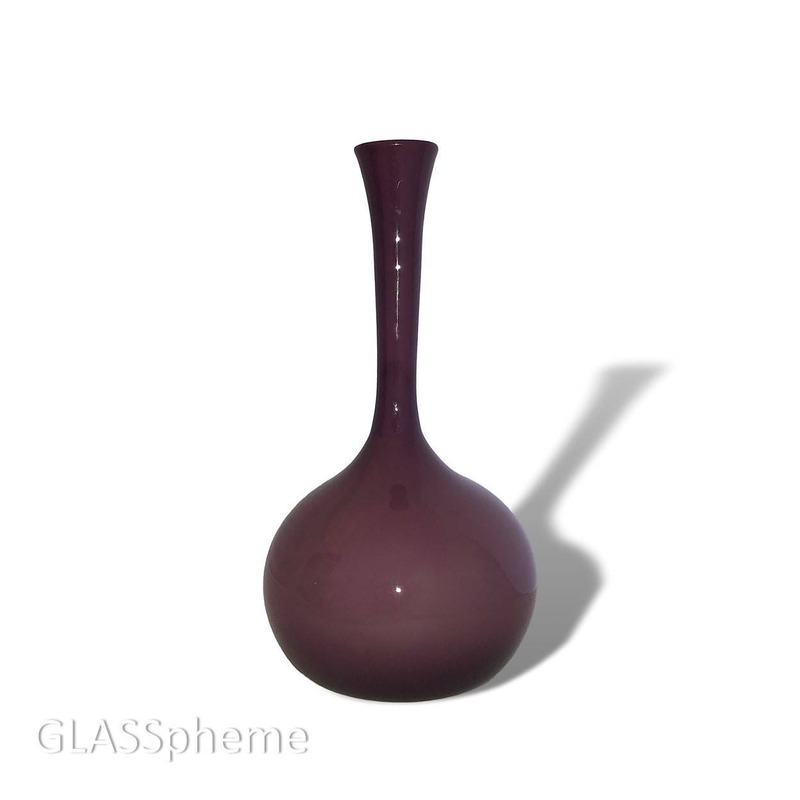 This mammoth ATOMIC AGE cased glass masterpiece comes along almost never, the ultimate 'GET' for mid-century modern glass collectors and designers alike, particularly in this creamy dreamy AMETHYST | PURPLE (it is indeed BOTH, depending on the lighting). This is the thick, heavy 1950s-60s Empoli cased glass, and not one of the thinner more lightweight confections of the 1970s. The bulbous base of this beauty is roughly 10" in diameter. 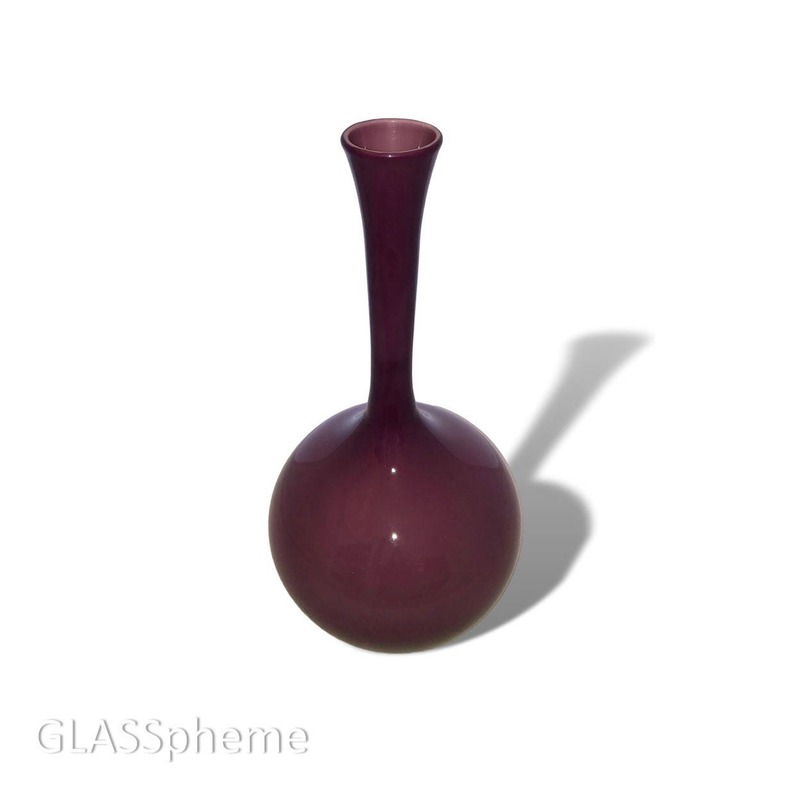 You'll note that I also have the same designs listed with a ball stopper, but I'm inclined to think this gorgeous piece never had one--the mouth on this vase is a full 1/2 inch wider than that of the stoppered bottle (3" vs 2.5") and notice how gracefully the neck begins to curve outward again as it approaches the mouth. Whatta beauty!